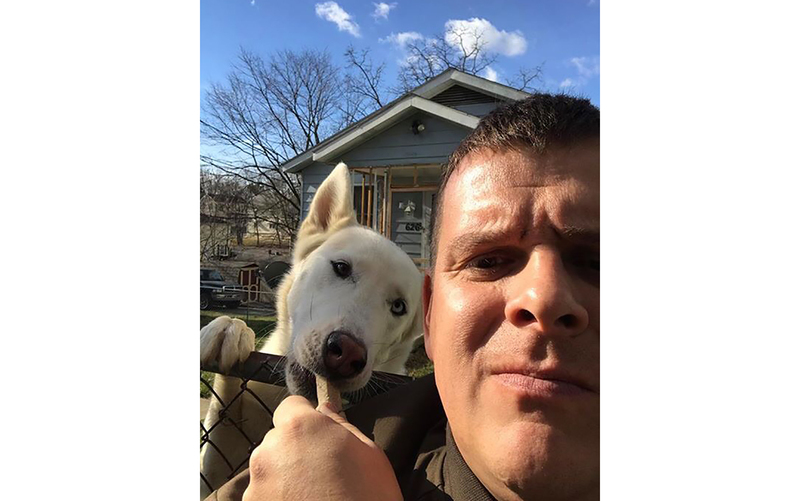 UPS driver Sean McCarren, who covers the Falling Waters area mail route, and one of his canine friends. FALLING WATERS, W.Va. — Sean McCarren, a local UPS driver covering the Falling Waters area mail route, has made a habit of giving dogs treats along the way. The page, UPS Dogs, features pictures of UPS drivers, the dogs they see and how happy the dogs are to receive Milk Bone treats from all over the U.S.